We’re just a few days away from celebrating our favourite holiday of the year! (Only 3 more days, yes!) We’re going to guess that you’re a part of the vast majority who has already indulged in some fun Christmas festivities this month and safe to assume that you’re likely making your way to a family dinner or preparing a delicious homemade meal for loved ones this evening… we’re right aren’t we?! With that in mind, we’ll be sure to keep this post short and sweet! As we take a quick glance through 2017, we can’t help but smile as our hearts fill with warmth. It has truly been a year to remember, that’s for sure. Twelve months of hard work, teamwork, innovative ideas and growth in all areas. Christmas is considered to be one of the most joyous times of year, and there really isn’t a better time to spread the love and share appreciation than over the holidays, right? From the bottom of our hearts, we would like to extend warm greetings to all of you. 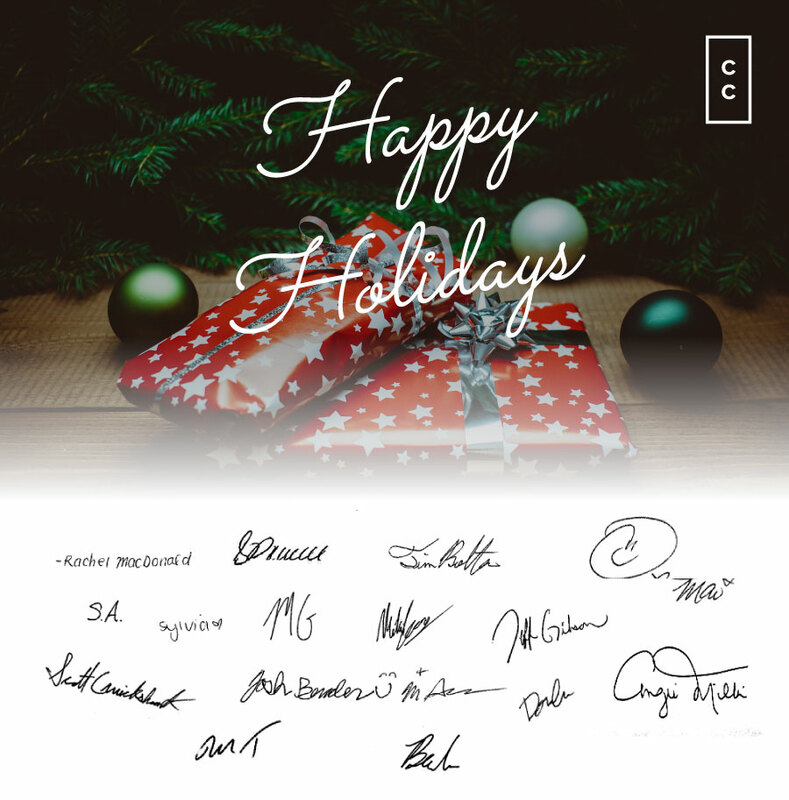 For our devoted staff, may your holiday be filled with cheer, warm memories, and happiness. Thank you for your dedication spent throughout the year, and for serving our business so well. For our business associates; a sincere thanks for your commitment and belief in our vision. What a pleasure it has been to partner up and work alongside some of the most talented developers and marketing teams in the industry. Your contribution is highly appreciated and we’re excited to see what lies ahead in the new year. For our giving community; thank you for spreading kindness and delivering non-perishable food items to our store. Because of your kindness and generosity, hundreds of families will receive the practical care and compassion they deserve this holiday. Your act of kindness and encouragement goes a long way. Thank you so much. For our social media followers and blog readers; we love our online community and we “like” that you like us, a lot ;) Thank you for your comments, feedback, engagement and online support. Lastly, for our fabulous clients, our condo and loft lovers; nothing excites us more than helping you find your dream home. The growth we’ve experienced over the years is because of clients like you and we’re truly honoured to be your chosen brokerage. We appreciate your trust and we’ll do our best to continue to give you the service you deserve. We look forward to serving you for many years to come! Thank you to each and every one of you! May the Christmas season fill your home with joy, your heart with love and your life with laughter. Happy Holidays, folks!